Six months of breastfeeding gives babies extra immunity against diabetes and other chronic diseases, studies show. Breastfed babies are also less likely to become obese kids. 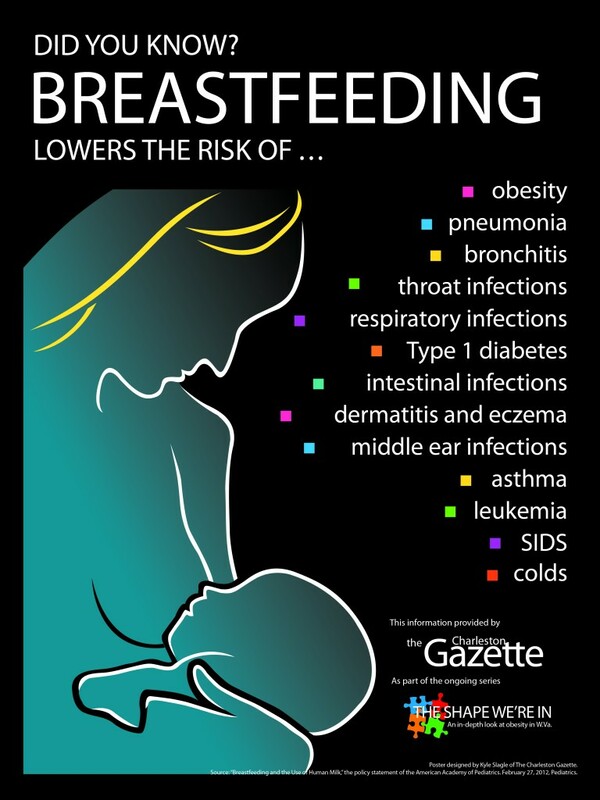 Mothers who breastfeed get immunities and lose their pregnancy weight more easily. 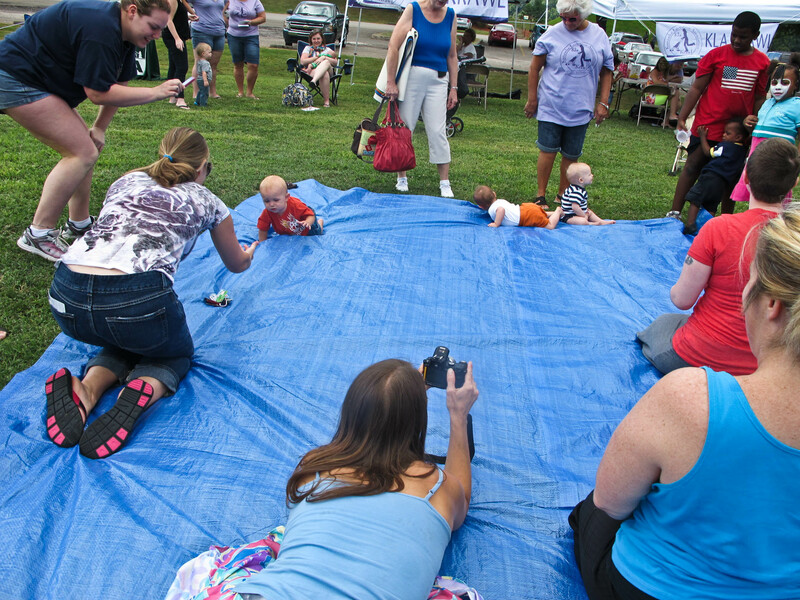 In Huntington, moms have banded together to form Wild Wonderful Breastfeeding. They make house calls, take phone calls and answer texts from new mothers. They respond to late night, holiday or weekend calls. Women in Huntington, Greenbrier Valley and Central West Virginia have all put together support groups in their areas. The West Virginia Breastfeeding Alliance has put together a manual, How to form a support group, to help women in other areas. * The WIC program, serving about 50,000 people a month, encourages breastfeeding, offers classes and support and gives breastfeeding mothers extra food coupons for theur families. See WIC statistics. * The West Virginia counties with the lowest breastfeeding rates also have the highest obesity and chronic disease rates and the lowest income. See chart: WV’s breastfeeding rate is lowest in areas where chronic disease is highest. * To give babies the full immunity benefit, mothers should breastfeed without any solids offered before 6 months. Moms can continue to breastfeed even after baby begins receiving solid foods, nutritional experts say. Check your local hospital practices. 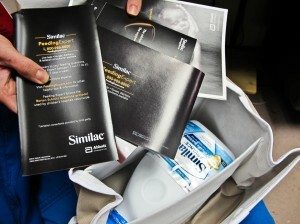 Does your local hospital(s) give new mothers bags of formula when they leave the hospital? If they do, find ways to point out that it discourages breastfeeding, which is proven to increase the child’s immunities to many diseases. Ask them to stop. Does your hospital employ lactation counselors or make them available? 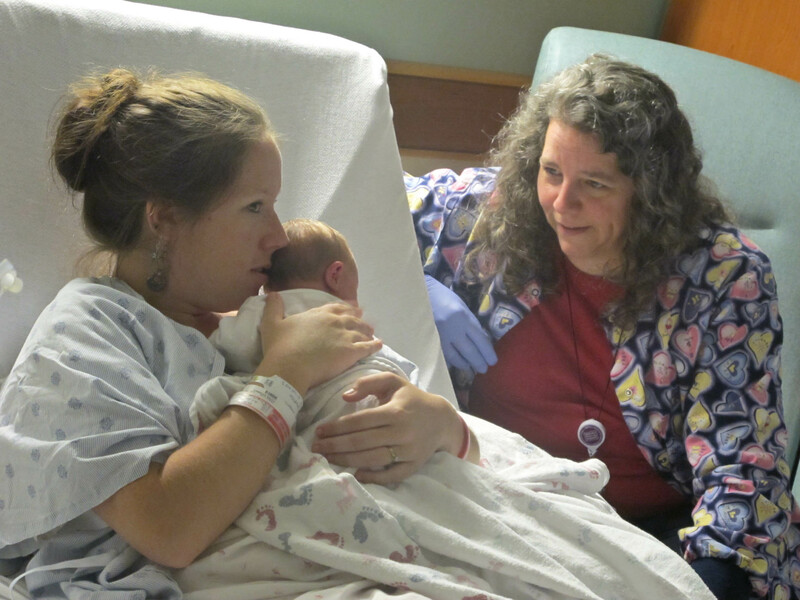 Many hospitals now have at least one nurse trained to help new mothers who want to nurse. Form a local support group. It can be sponsored by an organization or church or be a group of moms. The WV Breastfeeding Association’s “How to form a support group” manual will be helpful. 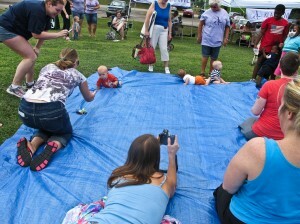 The West Virginia Breasttfeeding Alliance: www.wvbfa.com or https://www.facebook.com/wvbfa. Breastfeeding moms can be housebound if they can’t breastfeed their baby in town. 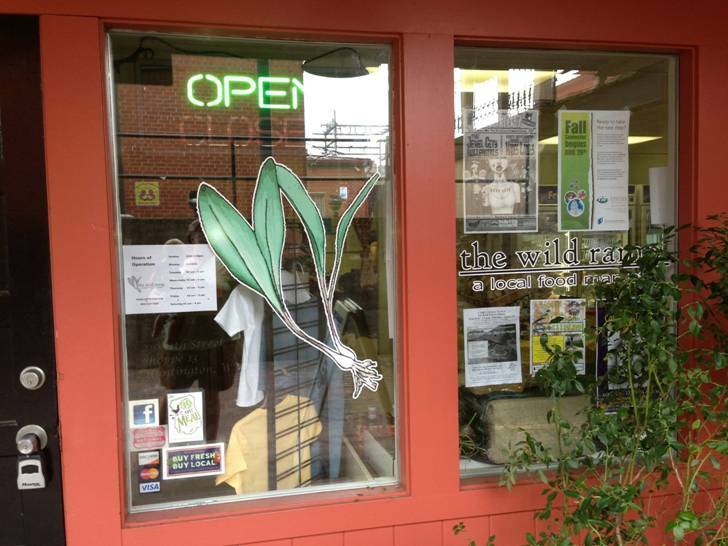 Stores like The Wild Ramp in Huntington post decals that let breastfeeding moms know there is an area in their store where they can breastfeed. Know the research on the positive impact of breastfeeding on the child’s health. Read about it here. Encourage breastfeeding areas in stores and public buildings. Ask stores and agencies to display baby-friendly decals that say they have an area where moms can comfortably breastfeed. It’s hard for many moms to breastfeed if they can’t bring their babies with them when they go out. Put this with picture of decal in window. A free, downloadable Charleston Gazette Poster CLICK TO ENLARGE. Have something to add? Write it in “reply” below. Add contact info, in case we have questions. Hi there, I have just discovered this wonderful page! At the end of the first section I saw this sentence “To give babies the full immunity benefit, mothers should breastfeed for at least six months and preferably a year, with no other foods, nutritional experts say.” I think it might make moms think they should give ONLY breastmilk for the first year. Perhaps it could be rephrased as : “To give babies the full immunity benefit, mothers should breastfeed without any solids offered before 6 months. Moms can continue to breastfeed even after baby begins receiving solid foods.” Just my 2 cents!